An ISO image file is a complete copy of entire CD, DVD or Blu-ray disc with an .iso file name extension. You can get ISO image file through various methods, like downloading online, getting from CD/DVD/Blu-ray discs, burning ISO image files from videos, etc. Since ISO image file is a single copy of CD/DVD/Blu-ray disc, you could not only get ISO image files from these discs, but also burn ISO to DVD/CD/Blu-ray discs on multiple platforms. 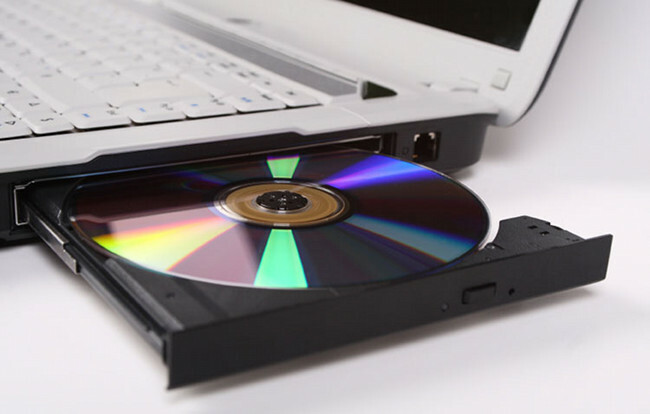 This post would introduce you several effective solutions to burn ISO to DVD disc on Windows (including Windows 10) and Mac with different tools. You could read through it and then make a comparison by yourself to decide which one meets your needs. Since the Windows 7 beta 1, Microsoft has introduced a built-in utility to help Windows users to burn ISO to DVD/CD/Blu-ray discs directly. That is Windows Disc Image Burner. With Disc Image Burner, you don’t need any 3rd-party ISO burner software to burn unprotected ISO files to DVD/CD/Blu-ray discs. 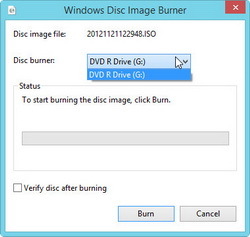 It’s quite simple and easy for you to make use of Disc Image Burner on burning ISO to DVD Windows 10/8/7. 1. Insert a writable DVD disc into the disc recorder drive. 3. Select Disc burner if you have multiple disc burners. 4. 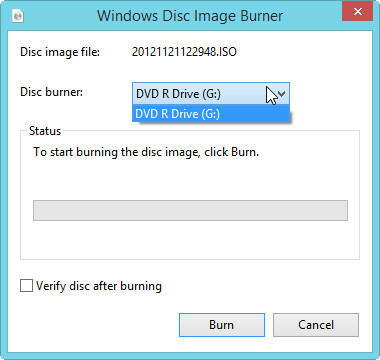 Click the Burn button to start burning ISO to DVD on Windows 10/8/7. If you want to verify that the disc image was burned correctly to the disc, select the Verify disc after burning check box. For example, if the integrity of disc image file is critical (for example, the disc image file contains a firmware update), you should select this check box. Windows Disc Image Burner is available for Windows 7 and later Windows versions. Windows users who use Vista or XP could check the Part 3: Burn ISO to DVD Disc with 3rd-party Tools to get desired solutions on ISO to DVD burning. Just like Windows, Apple also built in an ISO to DVD burner utility in iMac and MacBook for Mac users to burn ISO to disc of DVD, CD or Blu-ray. That is Disc Utility. 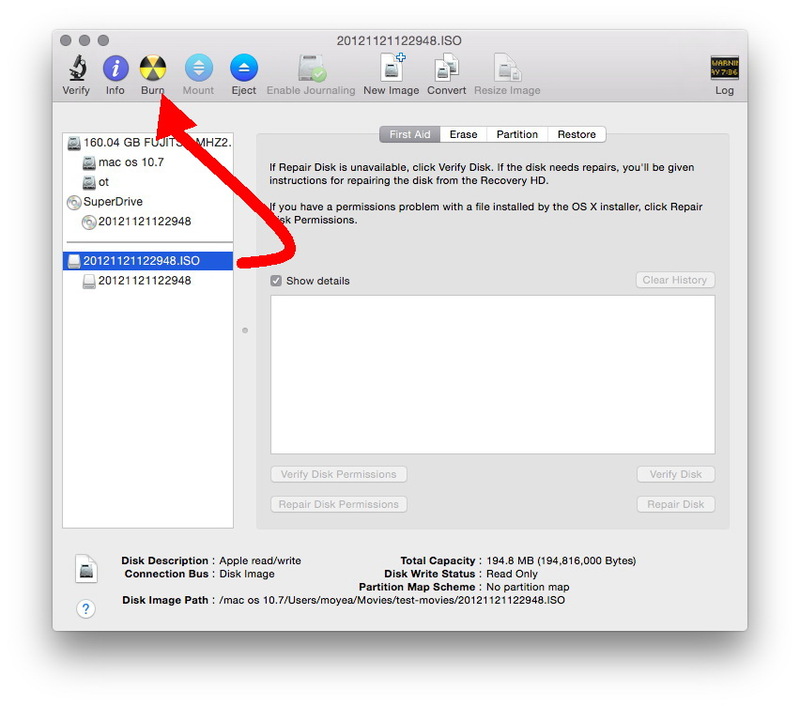 Disk Utility is an application that’s built into OS X and can perform lots of useful and even scary actions. Experienced users find frequent need of this handy tool but those newer to the Mac experience are often cautioned to steer clear. The very first thing that might be confusing is where Disc Utility on Mac locates. To novices, it’s hard to find Disc Utility on MacBook or iMac. 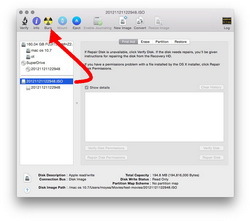 You need to dig a little deeper to access Disc Utility on Mac. 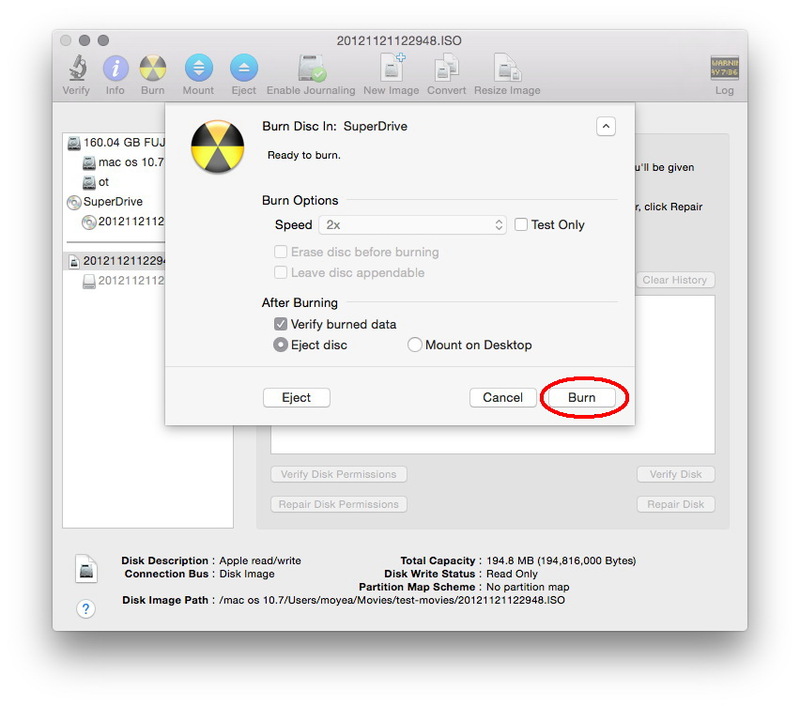 By summarizing, here are 2 ways to open Disc Utility on Mac to help you burn ISO to DVD disc on Mac. 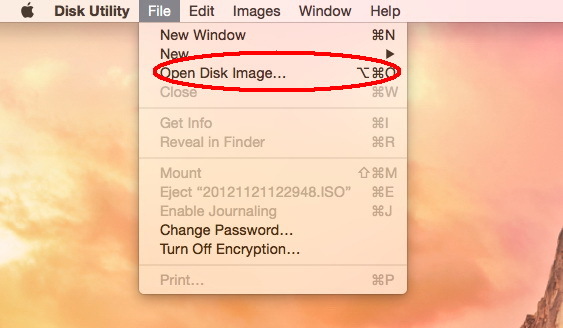 Open the Disk Utility app by navigating to “Finder > Applications > Utilities > Disk Utility“. Make use of shortcut keys: Launch the Applications folder by clicking Command-Shift-A and then click Command-Shift-U to open the Utilities folder. 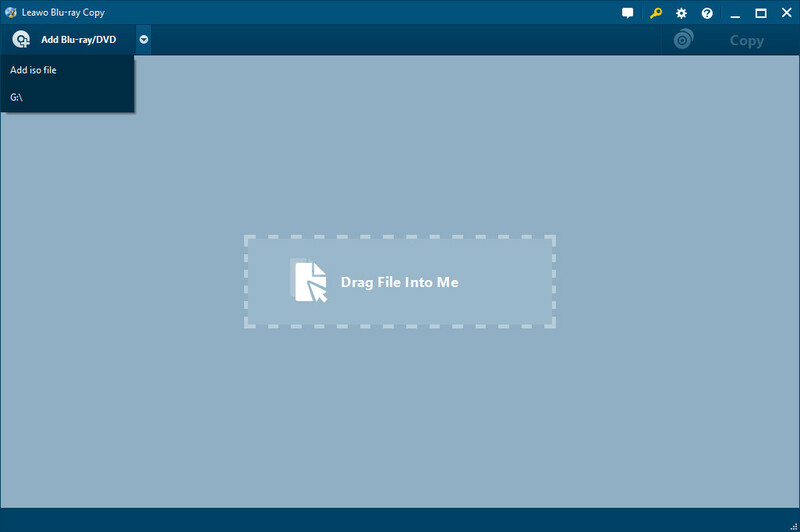 You could see the Disc Utility in the Utilities folder. 2. 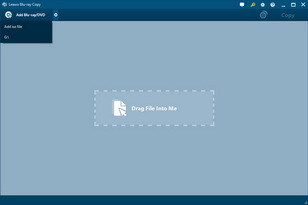 Luanch Disc Utility and then click "File > Open Disc Image" to add ISO file. 3. Select source ISO file and then click the "Burn" button. 4. 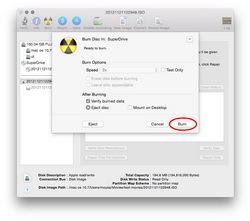 Click Burn button to start burning ISO to DVD disc with Disc Utility. Besides the abovementioned preset ISO to DVD burner solutions, there are abundant 3rd-party ISO to DVD burner software tools available on the market. Various ISO to DVD burners could either help you convert ISO to DVD or copy ISO to DVD in only a few simple clicks. Most DVD copy software tools would support to copy ISO to DVD disc without quality loss. The difference might lie in whether they could copy protected ISO to DVD disc or not, how long the ISO to DVD burning progress will take and the burned DVD disc quality. 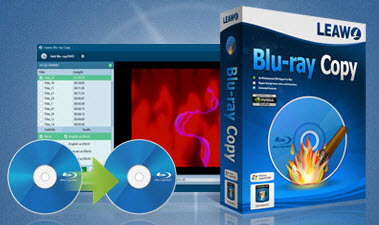 Leawo DVD Copy offers you the best and easiest ISO to DVD disc burning service that could be finished in only 3 steps. It has been rated as the No.1 DVD copy software of 2015 on various websites. Download and install Leawo DVD Copy via the links provided above. This DVD Copy software is free to download and install, with no malware, spyware or advertisement included. Meanwhile, you need to get other things ready, including: computer with DVD disc recorder drive, blank and writable DVD disc, and original ISO image file. Internet connection is also required. With all these things ready, you could follow the below steps to learn how to copy ISO to DVD with Leawo DVD Copy. 2. Insert blank and writable DVD disc into disc drive and then do related settings on "Add iso file" panel. Windows Disc Image Burner is applicable to Windows 10/7/8. If you’re using previous Windows versions, you may need to try the 3rd-party ISO to DVD burner tools mentioned in this post. 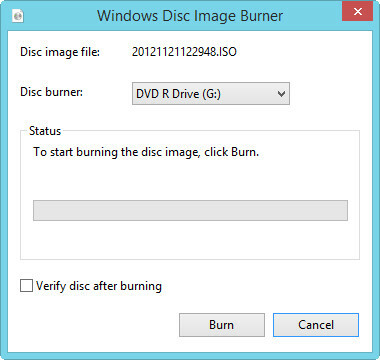 Windows Disc Image Burner is applicable for burning unprotected ISO files to disc. For protected ISO to disc burning, you need to try the 3rd-party ISO to DVD burner software. Don’t just burn the ISO file to the DVD by dragging and dropping it into the DVD and then burning it. This will not yield a working disc. Leawo DVD Copy helps you copy both protected and unprotected ISO image files to DVD disc on Mac and PC. Both Mac and Windows versions of Leawo DVD Copy share the same ISO to DVD burning procedure and operation steps. They get the same program UI.